All of Adobe product lines mentioned above have subscription plans available that can be canceled at any time for any reason (yes, even CS6 and Lightroom which are both included together with Creative Cloud). Even individual apps like Illustrator or InDesign or Premiere. This is the key point. Adobe actually has a strong Return Policy for purchases that are made directly from them… All subscription software orders are 100% fully refund­able within 14 days for any reason at all, either using “Manage Account” online (self-service) or via a simple live chat that only takes a couple minutes. And since the software is downloaded electronically, there’s nothing physical to return (or do). So if you want or need additional time to evaluate the apps, sign up for the Monthly option and the product will work again. Then in 14 more days, if you don’t want to continue, just cancel the plan before those two weeks are up for a complete money-back refund. When you cancel this Adobe-direct purchase within 14 days of your order, you’ll receive a full refund issued back to your credit card (or PayPal) within a few business days. 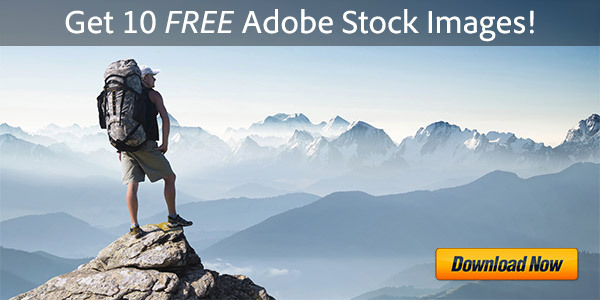 So with this easy technique, you effectively extend your Adobe free trials to 44 days because you have up to 1.5 months to make a final decision on the products. In other words, you increase the length of time that you can try out and use them without any financial commit­ment. And of course if you want to keep on using the tools after that, even for a short time, then you’d only be paying by the month – because with CC’s straight­forward Month-to-Month Plan, you pay only for the months you use the software (as long or as short as that may be). Adobe clearly states: “If you cancel within 14 days of your order, you’ll be fully refunded” for all memberships, for both individuals as well as for teams. And we have done this so we can confirm that it does work! Just make sure that you get the software directly from Adobe in order for this process to work, and not from a reseller or retailer. This basic approach can also be used even if you have already completed your 30-day free trial at any time in the past. So it’s especially good to know with the CC 2015 release being out, where all CC app trial periods were reset anew. Note that all CC 2015 trials are fully functional and can run side-by-side on your system with older CS versions, without interference. The Windows or Mac OS downloads can also be installed on multiple computers if desired – and easily converted to full versions without having to reinstall the software. No license key, serial number, or credit card is needed to download or run the initial free trials. 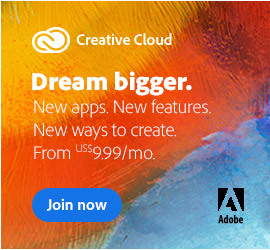 And importantly, even after the final expiration of any free trial period, you can still keep and maintain the free level of Creative Cloud membership with permanent benefits for life, at no cost. Addendum: The strategy described above is also helpful if you buy a perpetually-licensed product and a new version comes out within this time window, then you can simply trade what you have and get the next release instead… So for example, customers who bought Acrobat XI right before Acrobat DC came out were able to easily return it for a refund and get the new version instead (or the Creative Cloud, which always includes it) – meaning there’s some “insurance” (or a grace period) for a free upgrade, which is a nice side benefit – so long as you’re aware of it. Honestly, A 30 day trial is way to short for a non-commercial buyer. I downloaded Adobe Premiere Pro (and many other apps) and I then just got so busy in that month that I couldn’t really use the trial apart from opening it the first time :) and then the trial expires without me using it. I have often then bought some of these softwares, (when I download a trial there is usually a good chance that I will end up buying the product), but it would really be great if the software companies could change the trial periods from 30 DAYS, > to rather allowing you to open the application a maximum of 30 TIMES or 3 / 4 or 6 months, whichever occurs first. Hi Heinrich, that’s a neat idea and perhaps Adobe will adopt a plan like that someday! One challenge though might be that you can keep a single launch of an application “open” for a long time on your computer, during hibernation and sleep, etc… So definitely there has to be that time-limit component in there as well. In the meantime, hopefully you can use our technique above on how to double/extend your free trial period for up to 60 days, which works for most any Adobe application. If you want the latest and best version instead (from this year instead of 2012), then check out our new CC 2014 Direct Download Links. 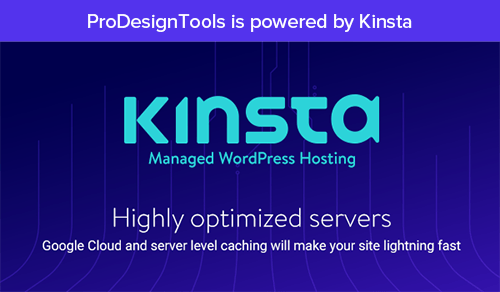 All tools start off as free trial versions in both cases. So, how many times can one do this? So given that, it seems to us that doing this more than once for any given product wouldn’t be too cool. Sure, glad to help. Note also that last month (in October), Adobe completely reset the Photoshop trials – so that everyone now gets a free new period for that application, regardless of if you’ve ever tried CC before. I have your PS/LR plan but I wish you had an option that would let me add Illustrator. I can’t afford everything. Added together though, it would still cost a good bit (40%) less than the Complete Creative Cloud bundle. my cs6 photoshop is expired, and its not showing in program and features to uninstall. i just want to uninstall it, please give me some advice. Sure Faizan, if you have already used your operating system’s uninstall function and it didn’t remove everything for some reason, then you can completely uninstall any Adobe application (of any version) by just downloading and running the official Adobe Cleaner Tool, and then rebooting your computer afterwards. I have one query. I am from India and for few months I have come to UK. Now I want to buy Adobe Creative Cloud 2014. I will be using my Indian online transaction that will be in INR, which is Rs. 499/- per month. Please note that I will be doing this online transaction from UK. So my question is, does this product ‘Adobe CC’ work worldwide, or does it have country or territory restrictions? I mean doing so can I use this product from any corner of the world? Hello Jatin, you should have no problem – your Creative Cloud membership is based from your home geography (your country of purchase), so you can travel without worries to anywhere in the world… Your access to your tools and services will not experience any interruption, plus your desktop apps will already be downloaded on your desktop for your offline use. Generally speaking, you only need to connect periodically to the Internet, as with any usage of CC anywhere. Hope that fully answers your question, if not then just post back! 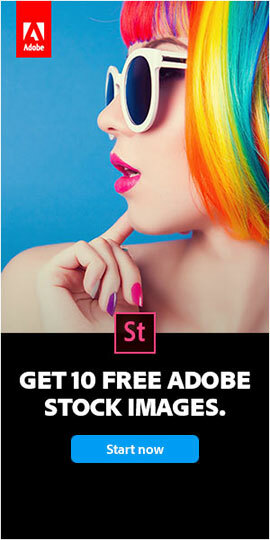 This sounds great in theory, but Adobe doesn’t live up to their guarantees. Their 30-day money back guarantee is all over their website but when I asked for my money back on day 21 they refused. Hi Julie, please tell us more. We’ve been running this site for over five years now and we’ve never heard of anyone having a problem before! Even if the software is opened, installed, activated, running, etc. It’s all right there in black and white. But if you have a legitimate case that wasn’t handled correctly, then we’d be happy to see what we can do to help through our direct contacts with the Adobe Support Team… Just let us know by responding to this comment with more details – thanks. Otherwise we’ll assume you resolved the issue. The Adobe return policy was changed for month-to-month subscriptions. You will no longer get money back for those plans, only annual subscriptions are fully refundable within 30 days. However the subscription terms for both the 12-Month and Prepaid plans remain the same, and continue to be 100% refundable within the first 30 days. So the technique detailed above (to extend the free trial giving more time to try out the software) does still work, but you need to choose the Annual plan instead of the Monthly plan when signing up. A natural alternative would be just getting one of the Monthly plans to begin with, where you only pay for the months you use and need the apps – for as few or many months as that may be. I was just wondering if it’s possible to run to trial versions on 2 different computers, and if so how do you do that? To do it, just download & install the Adobe trial software onto your second computer when you want the trial to begin. How would you download the trial on the 2nd computer? The person has already downloaded the trial version and has no photoshop. So i have downloaded the trial and was wondering if you could run it off 2 computers? I know you can run a paid version on 2 computers…. Would I have to log into my account on that 2nd computer? Yep. it all works exactly the same… You just download or copy the installer files for the product you want onto the second system – and then after the software is installed, you would log in to the free trial with your Adobe ID. Can you get a free trial of something, like photoshop, if you have never done a free trial but you used to have a subscription that expired? Yes KD, you may be able to do that. Generally when Adobe software loses its activation, if there has not been a free trial beforehand then it will revert to free trial mode for up to 30 days. I started an account on Adobe CC under the promotion released about couple of months ago, and I opted for 1-year subscription on the basis of monthly payment for CC teacher package that was available by that time. I did that exactly on Wednesday, 13 May 2015, and the monthly payment amount is 135 LE (LE = Egyptian Pounds, in French language as local currency name in use in Egypt). However, soon after that subscription my bank asked for renewal of my credit card to deliver me a new one with a smart chip and then to delver me a secure code activation for payment with that card on the Internet. This credit card renewal has taken all that time, from Wednesday 27th of May 2015 up to the present day (Thursday 26th of June 2015) when I finally became able to pay my CC monthly payment on the Internet via my new credit card number. During this long lapse of time my Adobe CC Teacher account seems to became “expired” for non-payment / billing issue, in time, since Monday the 8th of June 2105 or some time after that date. Today (Thursday 26th of June 2015) I tried all Adobe online pages in relation to this issue in order to introduce the new credit card number in vain. I do not know what to do with that issue in particular as all Adobe online pages lead me to the same page on my account where there is no way to update my credit card number. If it is possible for you to forward this message to any service that can help solving this issue please do. Your Creative Cloud membership has been transitioned from paid to free because we were unable to bill the credit card on file. Please update your payment information to resume your paid membership. If you need help or have any questions, please contact Customer Support. Hi Mohamed, sorry you’re having difficulties with that. We just forwarded your note to our dedicated support line at Adobe, and trust they’ll help sort things out for you! The return policy was changed again. Now you have only 14 days to return the product and to get refund. Thanks Dominik – yes, it looks like Adobe recently changed the refund terms for subscriptions… We will put a notice to that effect at the top of the post so that readers are aware, and then get the article on the docket for revision. I am from Sri Lanka. I am not permitted to buy CC 2015 direct from Adobe in Sri Lanka. I currently have CS6. I am a hobbyist photographer. I plan to travel to the Netherlands for three weeks on 19th October 2015. 1. 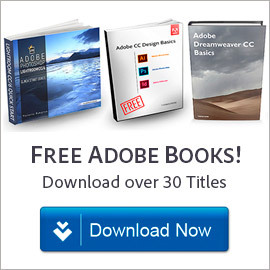 Can I purchase CC2015 when I am in the Netherlands using my current Adobe ID? 2. If not can I create a new Adobe ID for this purchase? 3. Can I pay with my Sri Lanka credit card? 4. When I return to Sri Lanka can I continue to use the Adobe CC? 5. When I return to Sri Lanka can I also install it in my desktop (as the second computer)? I contacted some resellers in Sri Lanka. They ask for US$650.00 annual payment !! Hello Seevali, which plan are you referring to? The Creative Cloud Complete plan which includes everything (all CC applications)? If so, the price of that is about US$50/month, which yes is around $600 per year… It is a subscription service so there are recurring payments in using the software. This would be the case no matter where you purchased the product. The same goes for the CC Photography Plan, which is ~US$10 a month. Can I Use the Creative Cloud Anywhere in the World, in any Country? Finally, note that in many countries you don’t even need to give Adobe a credit card anymore to purchase or subscribe to Creative Cloud, because you can now use PayPal instead. Thank you. I only need the CC photography plan. I shall purchase it when I travel to Netherlands on 19/10/15. This information is incorrect…adobe only allows you 14 days to get a refund after 14 days you only get a 50% refund. Yes, this change from Adobe is relatively recent and we had already made a note of the new policy within the post above to make folks aware. The article is on the list for a larger revision soon. You really should have updated this 2 year old article before reposting. There are some pretty outdated errors explaining Adobe’s refund policy. You have acknowledged this in the comments (Sept. 2015), but anyone reading only the article will be in for a big surprise. If they try to do what you are explicitly outlining in the article will be out their full amount for the monthly charge. “If you cancel an annual membership (individual or team) within 14 days, you will receive a full refund. Otherwise, you are billed 50 percent of your remaining contract obligation. There are no refunds for month-to-month memberships, only annual subscriptions. Actually that’s not true Kevin. We were in touch with Adobe yesterday about this, pointing out the omission on their new helpx page (which is unclear), the one that you quoted from. …for all memberships, both Annual (12 months) as well as Monthly (month-to-month). Adobe did change their policy recently, prompting the revision of this article. But everything described above is 100% correct and accurate, and as always, we work hard to make it so. It is now possible to change from an annual to a month-to-month plan through this new process, or vice versa. You do need to make the change within the first 14 days. This does allow those who decide they do not want annual commitment an opportunity to switch to the month-to-month option with very little effort, or go the other direction. You can also switch between different CC plans, upgrade or downgrade your plan. Customers in the U.S., Canada, United Kingdom, Australia, or New Zealand can now use the new online subscription self-management page to do this. Outside of those geographies, the same things can be accomplished via an online live chat. Wow, Adobe Cloud is a real headache, just reading about all the problems people are having, so much to pay attention to. Then you have to use the internet once in a while using the Cloud. You would think Adobe would make things easier now that technology has advanced and is more commonplace. People are opting out of Adobe and using other programs to avoid the hassle. I have to use it while at school, but can’t afford to rent it at home. I prefer to own my software. I have to wonder how long this ‘renting’ of software will last. All the libraries I know of don’t subscribe to it – just some of the schools. Very sad to have to rent. Not really sure what issue(s) you’re referring to Elizabeth – do you mean needing to connect to the Internet for CC software revalidation once every 99 days? Is that really a problem? If there is anything else specific that you have a question or point about, then feel free to post it… Otherwise, your comment comes across more as a vague rant. ProDesign, only thing you were telling Elizabeth to stop complaining, and sign up with Adobe CC to help make Adobe get rich. This pro-corporate, fanboy mentality is one of the reasons what it is wrong with today’s society especially in the United States. I understand Elizabeth’s concern and she has every right to express herself! It is true there are people who are opting out from Adobe despite Adobe’s so-called popularity because some people are not comfortable with this renting software non-sense. There were some people who did signed up for Adobe CC and now they’re regretting it. Adobe, like every corporation, is more interested in making fast profits, continue its cheap labor, not caring for their customers, and to see how many gullible customers would buy (or rent) their products. Since Adobe is a an American-based company, the US system has very lax laws for these corporations. So these corporations can do whatever they want to mess over the everyday people without being punished. Matter of fact, these lax laws were written by the corporations themselves and passed by the corporate shill politicians in DC. Her comment came across as a non-specific rant, more just complaining generally without raising any specific question. Our response was trying to understand what it was in particular that we can help with, with the hopes that she might follow up or ask something. But everything we wrote was 100% true, and we didn’t “tell” her to do anything. Your comment comes across much the same way. This is an article about extending the free ‘trial’ period for checking out the CC tools. If you have a specific question regarding this, please ask it. Each to their own. Most customers don’t think $10 a month for the latest full desktop versions of both Photoshop CC + Lightroom CC (plus all related mobile apps and workflows) is too much to ask, considering that these two best-of-breed professional tools used to cost well over $1,000 upfront just to get in the door, not including upgrades. And people who previously upgraded only once every 5-6 years are probably not the customers Adobe targeted with the new model. Sure, some folks weren’t happy about the transition from perpetual-only to subscription-only products – but as a Pulitzer Prize winner once said, “I can’t give you a sure-fire formula for success, but I can give you a formula for failure: try to please everybody all the time.” Adobe took a risk and it could have flopped or flown. They may have lost some customers, but at the same time gained many new ones because of the far-lower cost of entry than before. There are thousands of improvements and new features in CC 2017 as compared to CS6… If you haven’t missed what you don’t have yet, that’s fine – but if the latest releases can help millions of people get better work done faster, then time is money. Looking back to 2012, it’s clear now that Adobe didn’t do this to make anybody upset but rather made a business decision on what would be best for the future of the company and the sustainability of their franchise. The subscription model is more flexible in many ways and allows them to keep the tools current with fast-moving technology, as well as make record investments in their product line and advance the state of the art in creative software. Bottom line, you are quite free to stay in 2011. Sure, you can mutter darkly about how you personally don’t like the transformation but that really isn’t going to change anything. The train has left the station but of course you don’t need to be on it – it’s a personal choice whether to remain competitive as a provider of creative services or not. 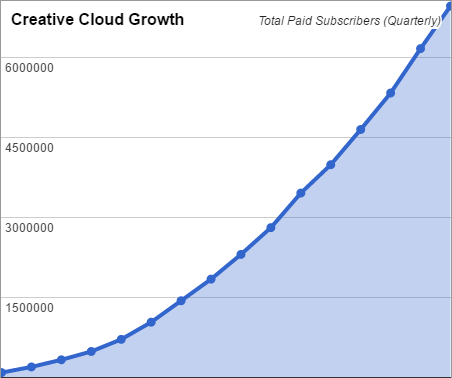 Either way, those CC adoption numbers are pretty impressive and pointing unambiguously to the future, and the company is clearly not looking back. I am curious since this is an old article. Does this method still work, and which annual plan would work for this? The Prepaid plan or the annual plan payment by month? In principle, the approach described above still works to effectively lengthen the time you have to fully evaluate (trial) Adobe Creative Cloud software. Last year, the company reduced the length of all CC free trials from 30 to 7 days… So the technique above will still work, but would triple the period from 7 to 21 days. That’s because CC plans now have a 14-day return period for a refund. So you add 7 + 14 together to get 21 days before you can no longer return the software license to Adobe for any reason. Depending on your needs, it may be best to go with a monthly (month-to-month) plan, as you can cancel at any time without any fees – plus it’s flexible and easily extendable for however much time you need it. In any event, Adobe requests that you not use this approach if you aren’t serious about continuing with CC… In other words, please don’t sign up with the express intention of cancelling. For that, you can just use the pay-by-the-month plan for as long as you need. that really is a good suggestion…must be applied ! I think they should be working on 24 hours per 1 click.